Looks like they might be transporting kegs of beer from Budweis to Linz. This was the first public horse-drawn railway in continental Europe. England, though, was first in the world. A mail coach on France 1973 SG 1996. A 1969 stamp, SG 1824, showing a horse-drawn bus of 1890 in Paris, used for transporting postmen. 1890 electric trams on a 1971 stamp from West Berlin. The Berlin tram network dates back to 1865, when the trams were horse-drawn. Electrification started in 1881, and the last horse-drawn tram ceased running in 1910. 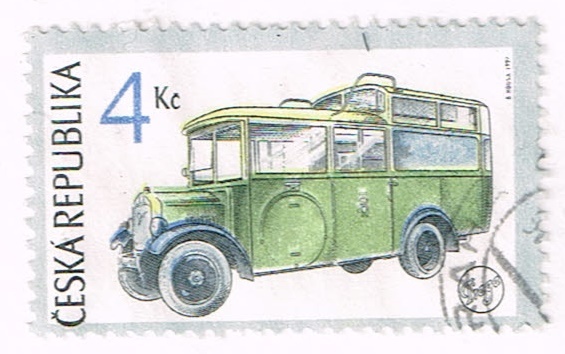 Old and modern buses on a 1965 West German stamp from a set issued for a transport exhibition in Munich. 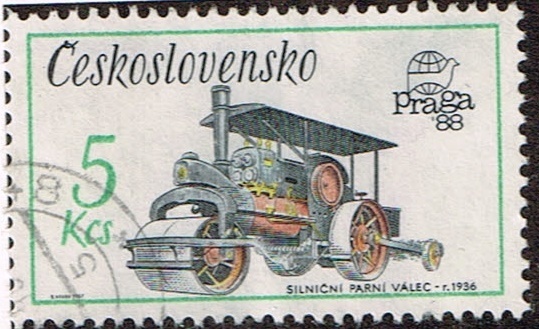 A horse-drawn omnibus on a 1980 stamp from Poland. Is the driver dozing and about to fall off? I'd be a bit worried if I was a passenger. An old taxi on a USSR stamp of 1981. An old British Leyland bus on a 1981 USSR stamp. 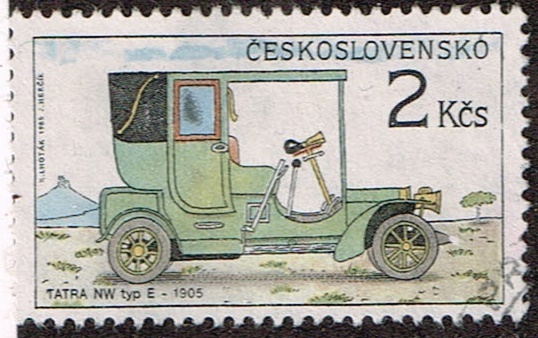 A Habsburg imperial state coach on a 1972 Austrian stamp. A mail coach on a stamp issued by Belgium for the 1963 Stamp Day. Mail coaches were introduced in the 18th century - and phased out in many countries in the mid-19th century as railways took over. They usually carried passengers as well as mail, and were faster than stagecoaches because they stopped at fewer places, but the needs of the postal service took precedence over the desires of passengers.